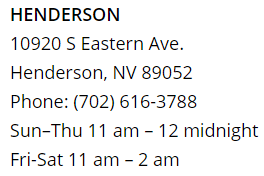 Perhaps you’ve heard the word “teppanyaki” in conversation or while watching a TV commercial advertising a local Japanese restaurant, but don’t really know what it means and were curious about the origin of teppanyaki steakhouses. So, what is teppanyaki? Teppanyaki is actually a melding of two words that describes the technique or style of preparing Japanese cuisine. 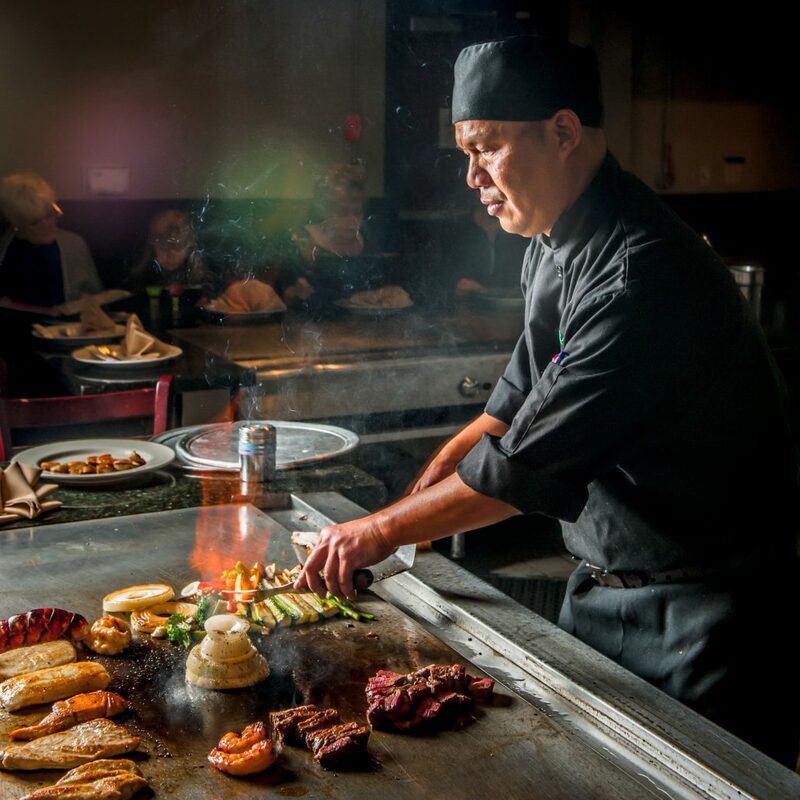 The word “teppan” means “iron griddle” and the Japanese word “yaki” translates to broiled, pan-fried, or grilled. Teppanyaki refers to Japanese dishes that are typically prepared using a large, flat iron griddle that typically is heated by propane gas. The chef will have all utensils and ingredients lined on the borders of the grill and will cook several dishes in front of diners with stunning flair and speed. It’s like a Cirque du Soleil show with acrobatic shrimp and flying vegetables as the stars of the show. In 1945, Misono, a chain of Japanese restaurants, first introduced the concept of a Western steakhouse that incorporated Japanese cooking techniques to prepare various dishes on a teppan. These novel Japanese-style steakhouses became extremely popular with American diners. 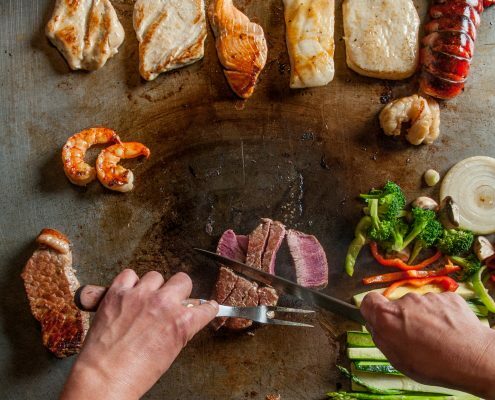 Today, this tradition of teppanyaki steakhouses thrives in the U.S. and restaurants continue to raise the bar for their chefs as they perform for diners by introducing new maneuvers and tricks to master using their utensils. The teppan grill has a long, wide solid surface that eliminates the need for the chef to cook food in separate pots or pans allowing all ingredients can be cooked at the same time. Depending on the menu selection from guests seated at the table, a chef will usually cook steak, lobster, scallops, shrimp, chicken, rice, noodles, egg, and diced vegetables with several sauces. 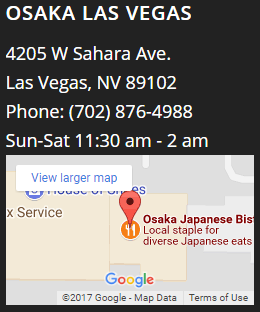 The best way to answer your question “What is Teppanyaki?” is to experience it for yourself! 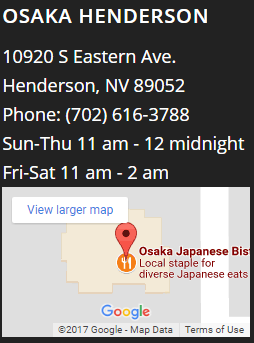 If you have never been to a teppanyaki steakhouse restaurant, you can easily find them if you live in a medium-sized or large city like Las Vegas. Many people go for the entertainment and ambiance, with the added bonus of eating a great meal. 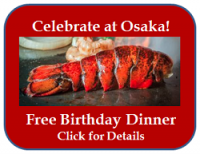 This interactive meal is fun for couples, large groups, and special celebrations like birthdays.